David Fine is Senior Vice President of Sales, Marketing and Revenue Development at PGA National Resort & Spa with responsibility over group and meetings acquisitions, brand management, marketing strategy, and revenue development. Prior to joining PGA National Resort & Spa he was the Director of Sales & Marketing for the five star, historic Broadmoor Resort in Colorado Springs for 4 years. With over 35 years of sales, marketing, revenue development, and communications experience, he has been successful leading the Sales and Revenue teams at several other notable Florida luxury resorts including Sonesta Hotels, Doral Golf Resort & Club, The Sheraton Bal Harbour and Key West Resorts. David's greatest strengths are his creativity, public speaking, drive and leadership. He thrives on challenges that can exceed corporate goals and expectations. He continuously serves on several professional tourism organizations in various roles. 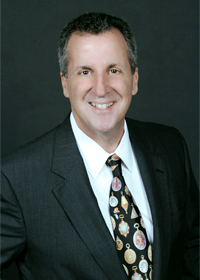 Currently, David is on the Board of Directors for Discover the Palm Beaches, a Sales and Industry Relations Committee Member and is immediate Past Chair of the Meetings and Travel Trade for VISIT FLORIDA, Vice-Chairman of the Visitor Industry Council, MCVB Chairman of the Marketing Tourism Committee and a prominent member of Meeting Planners International (MPI). In 2015, David was recognized as a "Top 25 Mind in Hospitality Sales and Marketing" by HSMAI. When he is not busy with numerous projects at PGA National Resort, he is an active father of two and avid sports enthusiast. He enjoys long walks with his beloved wife, Eve and his golden retriever, Pumpkin.